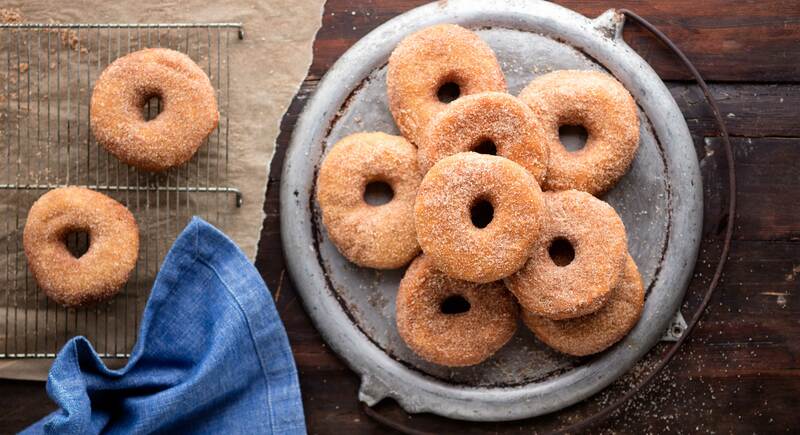 Why wait for someone to bring one of those bubblegum-pink boxes to the office to get your fix when you can make your own chewy, bakery-style doughnuts at home? Swapping sprouted white wheat flour in for regular and using coconut oil (instead of vegetable) for frying makes them a little bit healthier, without compromising on flavor. 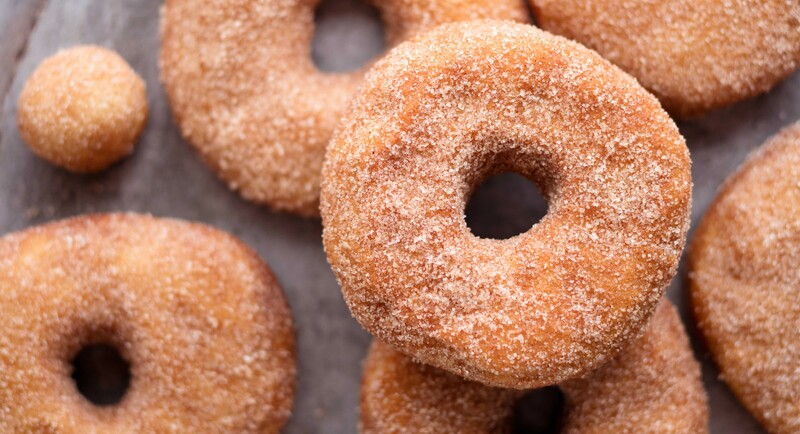 Finish 'em off with a dusting of cinnamon sugar—or skip it to keep the recipe refined sugar-free. Warm milk, honey, salt, and butter in a saucepan over low heat until lukewarm. Pour into bowl of stand mixer, stir in yeast, and let proof 5 minutes. Whisk in egg. Mix in flour and knead about 8 minutes with the dough hook attachment. Alternatively, turn the dough out onto a lightly floured surface and knead 8 minutes. Form dough into a ball and place in a well-greased bowl. Cover tightly with plastic wrap and let rise until doubled in size, about 1 hour. Once dough ball has doubled in size, punch it down, transfer to a lightly floured surface, and roll out to 3/4-inch thick. Cut out circles using a large 3-inch cutter, then use a smaller circle cutter for the center hole. Cover with a damp towel and let rise for another 30 minutes. Meanwhile, heat 2 to 3 inches of coconut oil in a cast iron skillet over medium-high heat. 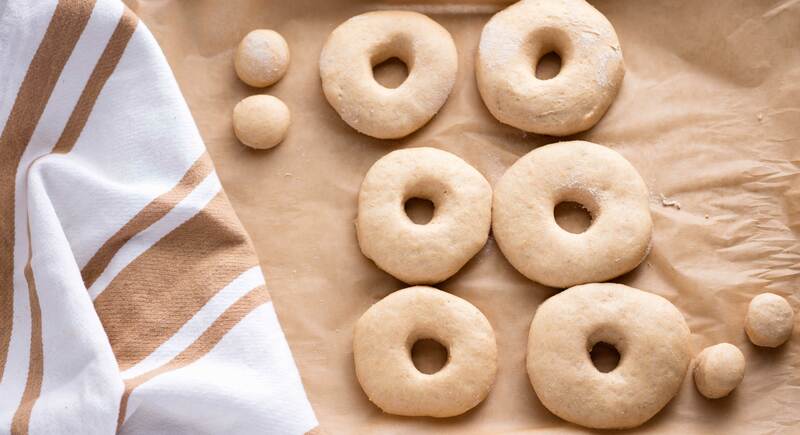 Very carefully, fry doughnuts in batches about 1 minute each side, or until golden. Drain doughnuts on paper towels. 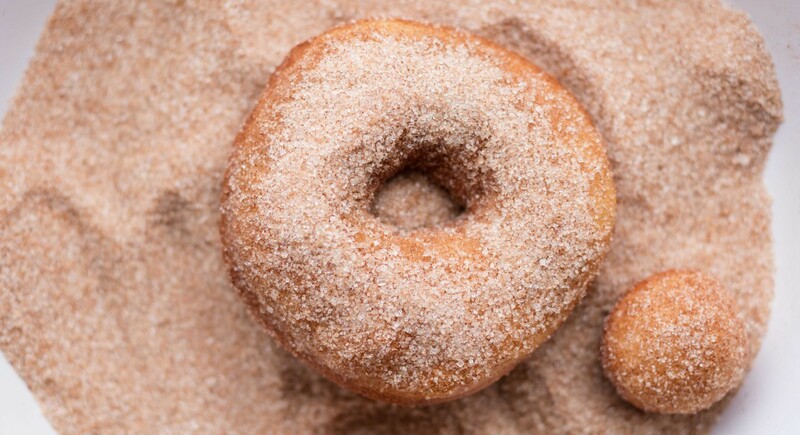 Mix together cinnamon and sugar in a low-sided bowl. Dunk doughnuts in the mixture, coating all sides. Store in an airtight container.